We are pleased to announce that Dr Justin Sherwin has joined our team at Peninsula Eye Centre. 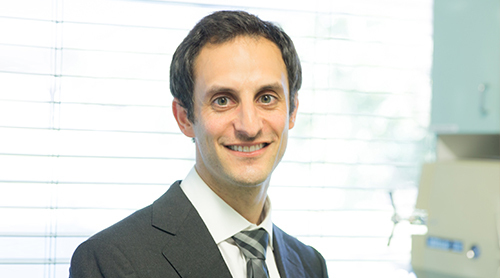 Dr Sherwin is an ophthalmologist with sub-speciality interest in glaucoma management. He manages glaucoma using medical, laser and surgical approaches, including minimally-invasive glaucoma surgery (MIGS). In addition, he is highly proficient in performing cataract and pterygium surgery, and treating general ophthalmology problems, including macular degeneration and diabetic retinopathy. Dr Sherwin operates privately at Beleura Private Hospital. Please see Dr Sherwin’s full professional profile here. We are delighted to welcome Dr Sherwin to our practice and to continue to provide high quality eye care to our patients. This entry was posted	on Tuesday, February 20th, 2018 at 5:35 pm	and is filed under In the News. You can follow any responses to this entry through the RSS 2.0 feed. Both comments and pings are currently closed.